If you want the best, you found us! 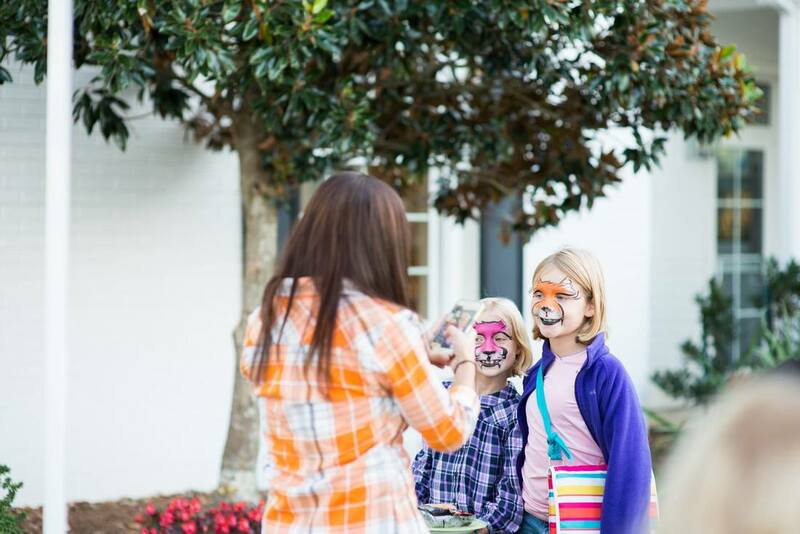 With over a decade of children's entertainment experience, our top-notch entertainers will be sure to entertain and delight you and your guests anywhere in the Knoxville and east Tennessee area with face painting, balloon twisting, princesses, clowns and more! -Each package includes additional time for set-up/break down/travel at NO cost to you. -All products used are top of the line face and body make-ups designed specifically for use on the skin and body. -All glitters used are cosmetic grade and specifically designed specifically for use on the face. -All artists use clean, sanitary kits and a brush water sanitizer specifically designed for use with the make-ups. -We are a fully insured company and all artists are PFPA certified and background checked. -Most importantly, you get a talented, friendly artist to create smiles and memories that will last a lifetime! (Includes professional face painting art for up to 25 children utilizing FDA approved face and body make-ups.) Watch as our accomplished, award-winning master artist masterfully creates stunning works of art on your guests and their children. With over 12 years of experience, she is sure to make your event memorable and unforgettable! Also available for high-volume events of 40-50 children per hour. (Includes professional face painting art for up to 12 children utilizing FDA approved face and body make-ups.) 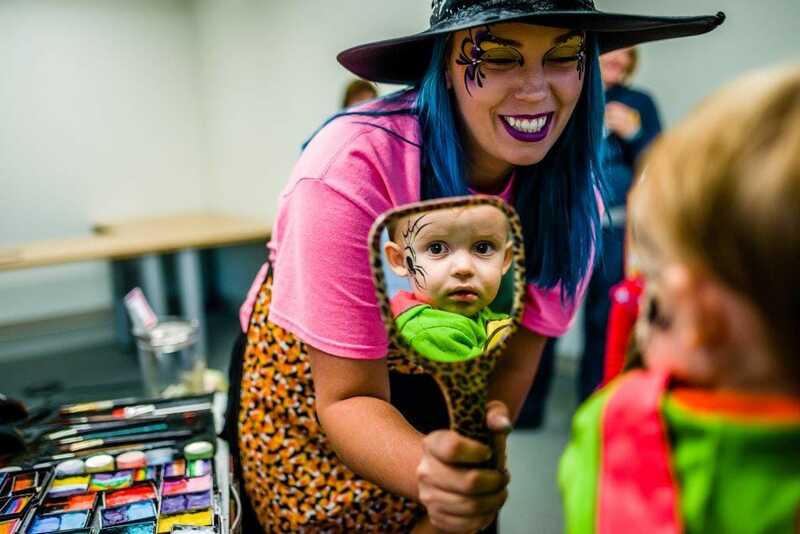 Watch as one of our talented, friendly artists amuse and entertain your guests and their children with professional face painting designs. From tigers to Spidey-Man, our artists can do them all! colorful, funky RockStar Hair Flair! Includes our premium Face Painting art PLUS our totally cool Airbrush Tattoo Art. Great for events with a mix of children, teens and adults! We offer multiple Artists and longer packages upon request (additional fees apply). If you are interested in our Baby Bump Painting or Body Painting please call and speak with us about pricing and your particular event. Remember, it's NEVER too early to book!